One of the oldest businesses in Santa Maria is its daily newspaper, the Santa Maria Times, in operation since April 22, 1882. The Times of those days was a far cry from the newspaper you see today. It was a small weekly published only on Saturdays. Half of the front page was advertising, there were no headlines as we know them today, and columns were two inches wide. The first owner was H.J. Laughlin, who had as his editor a man named S. Clevenger. The subscription prices were $3.50 a year, $2 for six months, $1 for three months, all in advance. There was a notation that if subscriptions were not paid in advance the cost was $4 a year. Advertising took precedence in those early days with some front pages, such as that on August 22, 1882, having only one column of news, the remainder advertising. In that issue was also a story of a Charles Sigsley who was killed by Apache Indians, one of several throughout the early years of settlers who met their fate in that manner. Until August 1883 the dateline of the paper noted that Santa Maria was the place of publication but also carried the name Central City. On April 4, 1888, the Times became a twice a week paper, coming out on Wednesdays and Saturdays. Apparently the move to twice a week was made too soon, however, as the paper returned to a once a week on April 6, 1889, again coming out on Saturdays. During that time the name was changed to the Santa Maria Semi-Weekly Times. December 1889 gave the first indication of where the paper was located, in what is known as the Jones building. No address is available and no record can be found in early editions as to where the paper was located in the community when it was started. The Times was a local paper completely in the early days of this century, with little national news. As an indication, the death of President McKinley was just a few lines on page 3. On June 17, 1904, the first local picture appeared, the 1904 graduating class of the high school. This photo was the forerunner of several that year, climaxing with a full-color drawing of Santa Claus and his reindeer on the front page Dec. 17. His edition, which was the biggest to date, was 10 pages and carried 102 photographs and pictures. 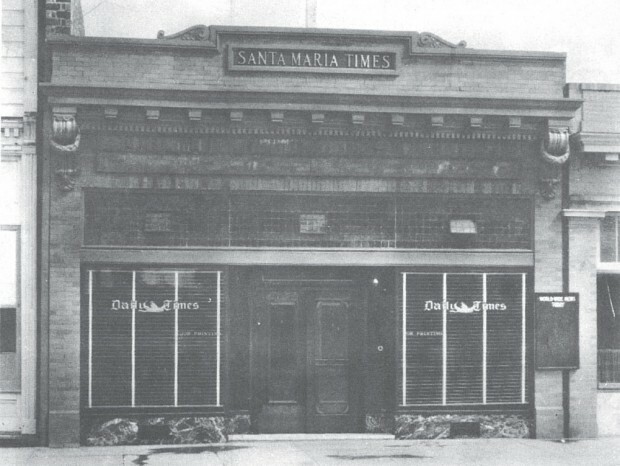 On Nov. 1, 1918, the Santa Maria Times name was changed to the Santa Maria Daily Times and it published six days a week, with C. H. Stater listed as editor and proprietor. The paper became a member of the Associated Press. In September 1921 the Times received a new, $8,000 flat-bed printing press, which would print an eight-page paper at the rate of 3,500 an hour. 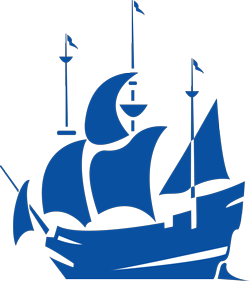 Comics became a regular feature in 1923, and in 1924 a picture of the sailing ship Santa Maria was added to the masthead. In October 1927 the paper noted that three large cans of milk cost 25 cents, Santa Maria beat Lompoc in a conference football game, and Ben Hur was playing at the theater. Later that year a story reported the arrest of a man for distributing narcotics valued at $6,000. The Santa Maria Times had many owners and went through many changes during the years before being purchased by Burl Hagadone in 1958. Named publisher in the same year, Robert Magee made a huge technological change on February 11, 1963, when the newspaper’s printing process went from “hot lead” letterpress to the “cold type” offset method, which uses a photographic process for making printing plates. In 1975, the Santa Maria Times moved to a new building in a growing industrial park on Skyway Drive across from the Santa Maria Public Airport. Future additions to the building accommodated expanded post-production operations. In the early 1990s, the paper became a true daily publication with the addition of a Saturday morning edition. A few years later, the paper joined the industry trend to become a morning publication seven days a week. On April 22, 2011, the Times began its 130th year with a purpose that has changed little through many years — providing news and advertising that make it the area’s leading information source. 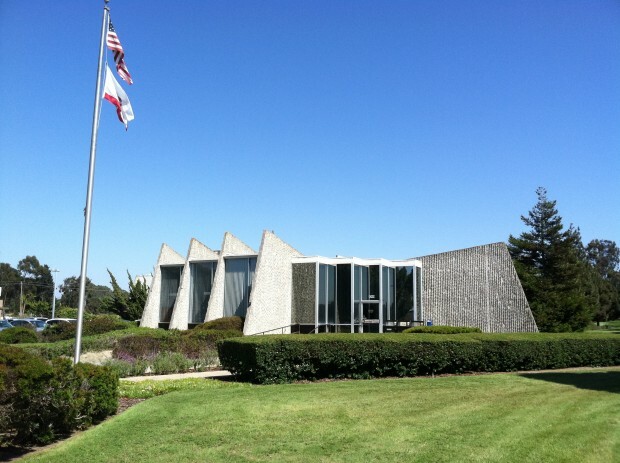 The Santa Maria Times building at 3200 Skyway Drive. The Santa Maria Times has been located on the corner of Skyway and Industrial since 1975. The Santa Maria Times building circa 1920. The Santa Maria Times building from around 1882.